Golf carts actually don’t need that much care. However the little bit of preventive maintenance required will be well worth your time and small investment. It will keep your golf cart in tip-top shape for you and retain its value for when you decide it is time to sell. You’ll want to protect the exterior of your cart to keep it looking brand new. If it isn’t garage-kept, keep it covered with a golf cart cover when it is stored outdoors. If you have leather seats, use a leather protectant on them to avoid cracking. If your seats are cloth, a simple fabric protector will do. One of the most important things in golf cart maintenance is just keeping a watchful eye on things. Check your tire pressure, check underneath from time to time to make sure that nothing is caught in your undercarriage and check your springs just to be sure they do not become cracked or broken. Basic maintenance includes keeping your suspension and steering components properly lubricated. 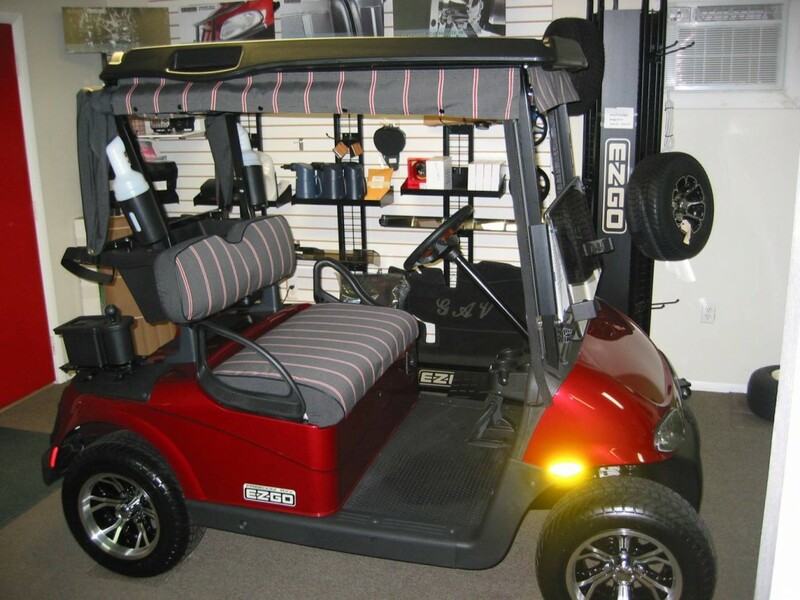 For electric golf carts, you will want to keep your battery well-maintained to extend its life. Just keep it well-charged, keep terminal connections free of corrosion and check the battery acid levels as your battery ages. For gas-powered golf cars, replace the plugs every two years in carts with heavy use and in three-to-five years for carts with more limited use. Replace the fuel and air filters annually and check the drive belt for cracks or rotting. Then that’s it! You’re good to go!